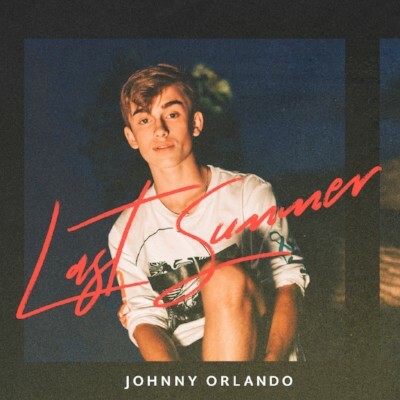 Newly signed Universal Music Canada/Island Records artist Johnny Orlando has revealed the world premiere of his highly anticipated new music video “Last Summer” exclusively with Billboard.com. Shot in Toronto, the music video for “Last Summer” was directed by Aaron A who has worked with a variety of artists including Nelly Furtado and Alessia Cara. Orlando and his sister Darian worked closely with Aaron A and the entire creative team to develop a unique video treatment and key elements with included inviting fans to be a part of the experience and be a part of the video. The end result is 60 hand-selected fans playing Orlando’s friends and love interest and making memories and a video that will last a lifetime. “Last Summer” is the follow up single to his label debut smash hit “What If” with actress Mackenzie Ziegler. The summer track garnered over 49 million streams across global platforms. The music video, which has currently over 17 million views on YouTube, premiered on Apple Music and hit #1 on Apple Music and iTunes in 25 markets. It peaked at #1 on global musical.ly song chart and was on the Viral 50 Spotify chart in 33 countries. With a combined social following of over 16 million fans, notable award nominations (most recently 2018 Kids’ Choice Awards nominee for Favourite Musical YouTube Creator and in 2017 Favourite Viral Music Artist) to his name, Johnny Orlando is at the forefront of a new generation of musicians making a global impact. After a hugely successful European tour over the summer, Orlando is back in the studio and is preparing to release his new EP in the near future.